A $40/ton carbon charge in New York state would have “a relatively small impact” on customer costs, ranging from a −1% to +2% change in total customer electric bills, according to an analysis released by NYISO and the state Department of Public Service on Friday. 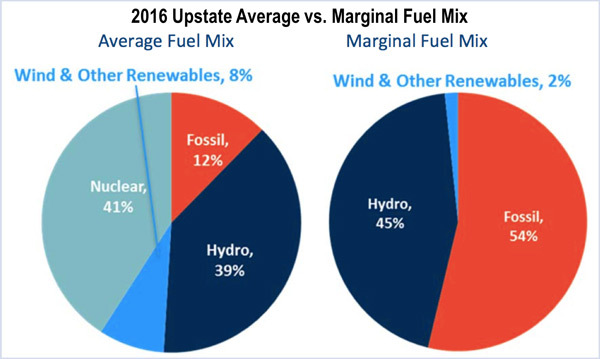 The much-anticipated report by the Brattle Group on pricing carbon into generation offers and reflecting it in energy clearing prices was prompted by the Public Service Commission’s decision to subsidize upstate nuclear plants through zero-emission credits (ZECs). Fossil fuel generators would incur a penalty based on their level of carbon emissions. The study is meant to develop an approach to value carbon in the wholesale energy market as an instrument of state policy while “providing appropriate price signals to incentivize investment and maintain grid reliability,” NYISO CEO Brad Jones and PSC Chairman John B. Rhodes said in the preface. 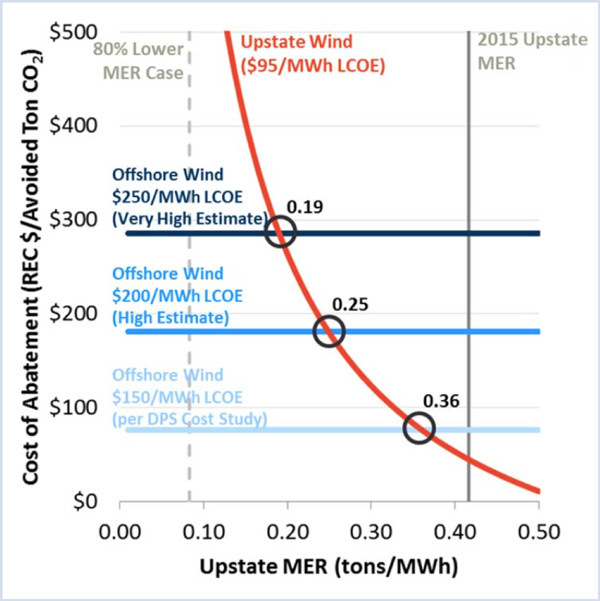 Although average wholesale energy prices would increase under a $40/ton carbon adder, about 50% of the cost could be offset by returning carbon revenues to customers; another 18% by reduced prices for renewable energy credits and ZECs; and an additional 23% by “dynamic effects on investment signals,” the report said. The report concludes by suggesting topics of further study. For example, market design affects carbon charges, and different designs create new models of revenue allocation and border adjustment. Also implied are potential refinements “to REC and ZEC procurement for allocating the risk of future changes in carbon prices between customers and suppliers,” the report said. The ZECs are part of the CES, which mandates reducing greenhouse gas emissions by 40% by 2030, from a 1990 baseline, and by 80% by 2050. It also calls for renewables to meet 50% of the state’s energy needs by 2030. The Electric Power Supply Association and several of its members had filed suit against New York’s ZEC program, claiming that it intruded on FERC’s authority over interstate electricity sales. A federal judge in New York on July 25 dismissed all claims in the suit, finding the state’s ZEC program constitutional. Earlier in July another federal judge had dismissed similar challenges to Illinois’ program. (See New York ZEC Suit Dismissed.) EPSA has appealed the Illinois ruling and plans to challenge the New York dismissal as well. Economist James F. Wilson said the commission should eventually phase out the capacity constructs or convert them to voluntary mechanisms. Cliff Hamal, managing director of Navigant Economics, said “the most fundamental assumption” underlying capacity markets — setting capacity prices based on the cost of building new gas-fired generation — may no longer be valid. Efforts to incorporate New York’s aggressive climate change policies into NYISO markets are focused on the introduction of a carbon price adder. On the first day of the two-day FERC technical conference, state and NYISO officials asked the commission for time to develop their zero-emission credit plan.